The Kingdom of Belgium is a country in northwest Europe bordered by the Netherlands, Germany, Luxembourg, and France, with a short coastline on the North Sea. It is one of the founding members of the European Union and hosts its headquarters, as well as those of other major international organizations, including NATO. 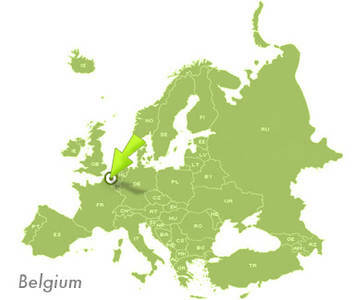 Belgium covers an area of 30,528 square kilometers (11,787 square miles) and has a population of about 10.5 million. 1. The federal government, based in Brussels.